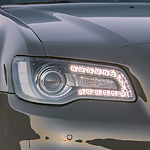 The new Chrysler 300 is more than just a popular full-size luxury sedan. This redesigned model is geared towards sports car style performance. Just take a look at a few of the features that make it unique. There is a serious sports feel to the new Chrysler 300. This is enhanced when you opt for the Sports Mode trim. This package gives you calibrated paddle shifters, raised transmission shift points and sensitive pedal response. You'll also benefit from the modified electric power steering which gives a snappy feel to the handling. 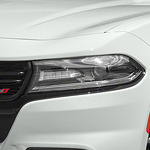 What Feature Packages Come With the Dodge Challenger? If you are looking for a muscle car, our team at Gauthier Chrysler Dodge RAM Jeep recommends the Dodge Challenger. 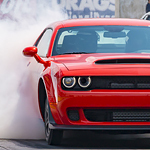 The Dodge Challenger is a popular model among muscle cars because it offers a number of feature packages. You can read about a few of its available feature packages below. 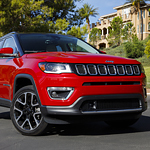 While looking around Gauthier Chrysler Dodge RAM Jeep in the search for your next vehicle, there are plenty of things to consider. If you have decided on an SUV, features that focus on performance and capabilities may come to mind first, but those that pertain to safety and security are equally important. The Jeep Wrangler comes with a number of impressive safety features. Looking for a New SUV near Winnipeg, MB? 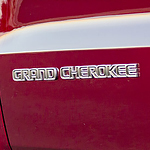 Consider the New Jeep Cherokee! Looking for a capable truck for a competitive price? If you've been thinking about a new 2019 RAM but don't mind purchasing a 2018 model, you may stand to save thousands by purchasing one of our remaining in-stock 2018 RAM trucks!